Want to feel younger, healthier and happier? Are health issues keeping you from living a contented and productive life? Since the earliest times, the laying on of hands (vibrational healing) has been used to help restore individuals to a state of health and harmony – physically, mentally, emotionally and spiritually. Energy healing promotes healing by enhancing energy flow and correcting disturbances in the “human magnetic energy field” or “aura” which permeates and surrounds the body. Improving the flow of energy in the energy field supports the self-healing capacity of the body. Currently, there is a kind of revival of ancient understandings about energy healing in the light of modern science. 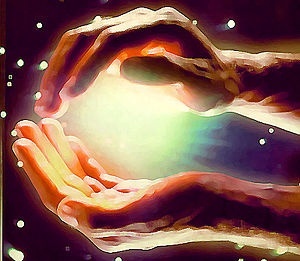 “Laying on of hands”, which appeared in many times and cultures, is being rediscovered and formulated into healing techniques which are accessible to people in the present time. 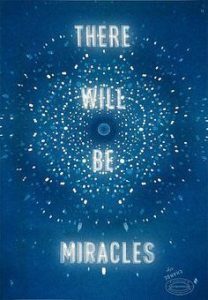 There are also more and more people who are spontaneously becoming aware of their own and others healing “gifts.” In its purest form, a healing by means of energy medicine and energy work is simply the practitioner consciously placing their hands on the recipient in a heart-centered and intentional way to facilitate and restore health and harmony to all areas of their lives. Since everything is made up of patterns of energy, working directly with energy influences the physical, mental and emotional, as well as the spiritual level. 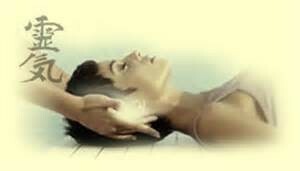 Energy healing, Reiki and Quantum Healing is thus by nature “holistic”. If there is an illness or disturbance in the body, mind or emotions, then those disturbances are addressed. Healing Touch is the medical term used in over 30 hospitals in the United States for this energy or vibrational healing application and therapy. Healing Touch skills are becoming increasingly validated in health care systems around the country. Healing Touch has had an active research program for 10 years and more than 50 studies have been completed at universities and medical centers. Energy Healings also complement and support other methods of healing and traditional therapies because it can be used to strengthen our positive qualities and characteristics. I became a Reiki Master 15 years ago and since have increased my own vibration through various training’s and practices as stated in my Bio. Through 20 years of my interest and studies in Quantum physics, daily tools and practices, meditations, continually upgrading my educational and healing skills, along with many years of purifying and healing modalities on myself, I have re-trained my mind and body to neutrality. I have since become a clear and open vessel/channel that brings through a Quantum Vibrational Frequency that heals and releases blockages, disturbances and imbalances from the emotional, physiological and spiritual patterns of our cellular memories of the past. In the past several years I have become empowered to recognize and anchor the bringing through of the Christed Light Energy. My belief system is Optimum health, Eternal youthfulness and the Light crystalline body of immortality. 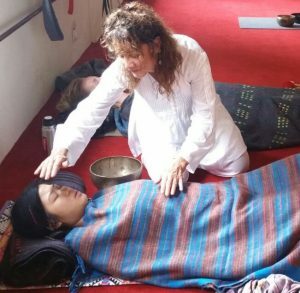 Energy healing is a unique part of energy medicine in that it also involves the conscious use of the energy field of the healer. Just as we have a physical anatomy, we also have an “energy anatomy.” The human magnetic energy field or “aura” surrounds and permeates the physical body. The physical body could be thought of as the most dense expression of this energy, and as only one of a number of bodies which comprise our energy anatomy. The Human Aura is made up of four main aura’s which extend up to four feet from the human body. These aura’s all occupy the same space at the same time, each division of the aura extending out further than the previous aura. All human aura’s are interconnected and reliant on the others for normal function. 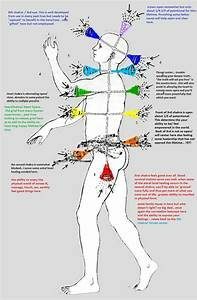 The four main aura’s are the physical aura, the emotional aura, the mental aura and the etheric or spiritual aura.. James Oschman P- Energy Medicine, The Scientific Basis, 2000 The Physical or Etheric Human Aura extends about two inches out from the physical body and is usually a shade of blue in color. The shade of the blue relates to the physical condition and health of the Human physical body. Athletes have strong etheric aura’s of a deeper blue in shade. In the etheric Human aura you feel all the sensations, both pain and pleasure. Whenever there is pain the flow of energy in that area of the physical aura is erratic. The Emotional Human Aura extends about two to four inches from the physical body and appears as rainbow colored clouds. This Human aura is associated with feelings. Positive feelings generally create bright colors, where as negative feelings generally create dark colors. Problems in this aura will eventually lead to problems in the first and third aura’s. The Mental Human Aura extends about four to eight inches from the physical body and is usually a bright shade of yellow in color. Within this Human aura are our thoughts and mental processes. The more active our thinking processes the brighter our mental Human aura becomes. Within this Human aura can be found thought forms. The Astral Human Aura extends about twenty four inches from the Human physical body and appears as a brighter shimmering light of pastel colors. This is the level of feelings within the world of our spirit. Here we communicate with all the beings of the spiritual world. This aura takes on the form of a golden egg that surrounds and protects everything within it. The picture to the left is actually how the cone shaped energy fields appear coming out of the chakras and the body front and back. The word chakra is Sanskrit for wheel or disk and signifies one of seven basic energy centers in the body that correspond to nerve ganglia branching out from the spinal column, as well as states of consciousness, developmental stages of life, archetypal elements, body functions, colors, sounds, and much, much more. Together they form a profound formula for wholeness and a template for transformation. Energy healing effects change by positively influencing the energy field and chakras. Our emotional and mental imbalances (termed as stress) behavior patterns and old false beliefs we have adopted along the road of our lives are like the layers of an onion. Quantum Vibrational Healing peels away these layers one by one, with your cooperation; this energy work will discover and dissolve the root causes of these old wounds whether they are in your physical body, emotions, thoughts or spiritual connection. It will remove them from your consciousness and restore you to a state of empowerment for living a radiantly whole and healthy life. Quantum Energy Healing can facilitate self-mastery through personal transformation of the conscious self as you become increasingly aligned with your Divine Essence. After a Quantum Energy Healing Session you may experience significant and substantial shifts in mind, body and spirit. You may feel a reduction or elimination of your symptoms, or even a sense of love, acceptance and a deep letting go. Whether you’re dealing with physical challenges or the next stage of your spiritual evolution, this is the place to let go of your old patterns and move forward with your true life’s purpose. I now apply Quantum Healing Hypnosis Therapy in my Ancestral Purification Healings. This technique puts you in a Theta brainwave state through first applying the Light Body Activation. Then while you are in this etheric trance but completely conscious, together, we collaborate and scan through your lifetime removing unwanted cellular memories, DNA ancestral distortion and old trauma that continues to play out in your life. These energies come up into the consciousness to be healed and purified. Some of these memories are just random pictures, colors or feelings that we do not associate with at the time. We just let these images or thoughts float on out of your awareness as it is not important to acknowledge or repeat any past experiences for dissolution. The healing is quantum energetic and is dissolved through the intention of the power of 2. More information on the Ancestral Purification page. If you are reading this website then you have been called to do inner purifying. Creates greater symmetry and balance in the energy field. Dissolves anger, depression and grief. Liberates fear, anxiety and panic. 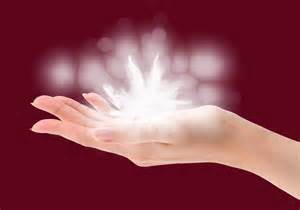 Energy healings unwind repressed emotional trauma. Creates true self-worth and self-confidence. Resolve the core issues of physical disease. Assists rapid recovery from surgery. Opens the Higher Heart to more joy and ecstasy. Pain relief or decrease in pain level. Decreases agitation and calms those with Dementia or Alzheimer’s. Assists with the dying process (relaxation, peace,and acceptance). Decreases use of pain medications post-operatively. Decreases negative effects of trauma/chronic pain and post traumatic stress. Supports withdrawal of substance abuse.